The personal sharing in that article is so needed in a world where sexual performance (increasingly stimulated, even among young adults, by sordid, cruel, objectifying expressions of self-annihilation) supplants love-making and “pleasuring” in a holistic and sexually healing sense. In this kind of a mindset, the sexual acts often suffice for a sexual identity – i.e., instead of simply being “flavors” of the expression of humankind’s privilege and joy of expressive, receptive, and ardent intimacy, individuals may define and own selfhood by relentlessly focusing on one facet of their multifarious life: their sexual identity. To me this means that our souls are not bound by the bonds of earthly labels but are sublime; they exist in a sphere in which their value and beauty is flavored by all that is learned and experienced on earth, but not confined to accidents of birth or happenstance. Richard, your contribution gives heart and inspiration to many who have been shattered by what has made you stronger and even more beautiful and good. You have inspired and moved me. Here are some thoughts in response to Rebecca Subar’s web article, “Why Safe-Haven Zionism Is Incompatible with Jewish Cosmopolitanism”: Many years ago, I decided that I was neither a Zionist nor an anti-Zionist but a non-Zionist and a critical friend of Israel. More often than not, I am extremely critical. But I cannot renounce friendship for a nation that has breathed life back into the dry bones of so many families such as mine that were almost blotted out in the Shoah or in other horrors of the last century. I understood, though, that the state was the product of a dark time in the history of the Jewish people and, indeed, of most peoples. Terror and ethnic cleansing were its midwives and, clearly, its creation was based on the perceived cruel necessities of a specific time and place rather than on universal, timeless principles. Its moral legitimacy was therefore questionable. But, by the same token, so, at one time or another, was the moral legitimacy of most countries. This was obviously the case for settler nations such as the United States, Australia, or New Zealand. But dig back far enough and you have to ask yourself whether, for example, England has the right to exist, given its origins in the Germanic invasions of the fifth century ce and the apparent dispossession of its then primarily Celtic population. How far do we have to go back before a nation acquires the right to existence through the simple fact of existing? One generation? Two? Three? It’s hard to answer that question at a theoretical level. But, at a practical level, the dissolution and reconstituting of states is likely to end in new injustices and resentments and in more lives cast into the whirlwind. So, as far as I’m concerned, Israel has, for all practical intents and purposes, as much right to legitimacy and sovereignty as any other country on earth. Moreover, as the exercise of the democratic right of self-determination requires a distinct institutional and territorial context, it follows that Israelis have as much claim as any other people to exercise this right as a people. But, as a Diaspora Jew, I do not have the right to participate in Israel’s exercise of self-determination. It is a right that should belong to Israelis (and not just Jewish Israelis) qua Israelis but not to Jews qua Jews. And, of course, the same should and must apply to the Palestinians. May it happen speedily and in our own day! Should Israelis be allowed to set ethnic criteria for immigration and other issues? Well, most countries do precisely that. For example, Germany gives immigration preference to people of German descent, which is one reason why that country’s superb national soccer team has players with Slavic personal names. Ireland does it. Italy does it too. Does Israel’s Jewish majority have the right to insist on the Jewish character of its state? Let’s remember that the United States is something of an exception to the norm in celebrating a largely civic patriotism. Most countries give some ethnic weighting to their national identities, even though globalism is making it ever harder for them to do so. Israel’s ethnocentric approach may be a valid expression of its national sovereignty. But it is hardly wise or helpful in the current fraught situation and leads inevitably to manifest injustices placed on many of its citizens. But whilst I may criticize the choices Israelis make, I criticize them as a foreigner, albeit one who has cultural and religious links to the country and a natural affection for it. I certainly should not behave like those Irish Americans who continued to fund the Provisional IRA when its terror campaign was causing carnage on both sides of the Irish Sea. But, nor, as a cosmopolitan Jew with citizenship (in my case) in two other countries, should I any more refrain from criticism of Israel than criticism of any other country on earth. Israelis are well advised to take such criticism on board. As a forty-six-year-old Brit living in Dallas, with what could best be described as Humanist views, I caught the latter part of Rabbi Lerner’s NPR interview about his book Embracing Israel/Palestine in the car today and listened with tremendous interest. Political discourse in the United States is now so completely broken at every level that to hear a balanced, educated voice of reason is a rare treat. In the current environment it seems that your views and proposed solutions to the Middle East conflict will be shot down, trampled upon, and demonized as “liberal wooly-headed naivety” by many. I would remind such naysayers that peace in Northern Ireland was brought about after nearly 500 years by much the same approach. While no direct comparison between the regions can be drawn, the problems seemed similarly intractable and are perhaps a close enough parallel to merit mention. Your work and embracing of other faiths and beliefs through the Network of Spiritual Progressives is so important. As you know, no sensible discussion will be had on such divisive issues unless the foundation of trust, understanding, and genuine respect for others’ views is established, and I applaud you for your initiative. While I don’t share your religious beliefs, your calling out the baying hypocrites for using the “word of God” to vilify their opponents had me cheering behind the wheel! At last, someone on the inside gets it! I would like to comment on [Phil Wolfon’s] web article, “The Middle East Uprisings and Lessons from Che.” The reason why I joined Tikkun is that it is about trying to “Heal, Repair, and Transform the World.” There is very little, if anything in Che Guevara that relates to these fundamental values. His revolution was about war, killings, armies, and hatred. He was charismatic, but superficial, arrogant and narcissistic. The very opposite of the values that we should uphold. Historical political figures that could be discussed as valuable are Gandhi and Mandela. There is great need of a deep study of why Che Guevara ended up being a public image that is so contrary to who he was. I appreciate the email about Syria that you sent out to your email subscribers [sign up at www.tikkun.org/mail], but I have to strongly differ. The true “genocide” has already taken place in Libya-courtesy of NATO bombardment of that country that resulted in the killing of at least 70,000 people. There is no evidence whatsoever of genocide in Syria. You are using very strong words that will incite more violence especially coming from a very respectable, pro-peace organization like Tikkun. We must call for peaceful dialogue with the Syrian regime, which by the way has begun the process of reform, but unfortunately few people bother to find the facts about these reform efforts. Your message to unequivocally demand an end to the regime is a message to justify the killing of many more Syrian under the umbrella of regime change. It is disappointing. I have a huge extended community of family and friends in Syria, some of them unfortunately were already killed in the recent event, but they were not killed by the government forces, they were killed by the Islamist fundamentalist militants in Homs and its suburbs (Al-Hosn Castle region). Reporters who reported for Tikkun already admitted that the Syrian government is fighting an armed insurgency, most if not all of it is represented by a small faction in the Syrian society. I grew up in Syria and spent half of my life (23 years) there. I know well the situation there, including lack of democracy, and lack of freedom of speech. But the situation you see now is not a result of the peaceful demonstrators wanting real freedom and getting shot at by the brutal government forces. While I preface by stating that I, too, am part of the opposition to the Syrian regime, I strongly object to the propaganda war waged against my homeland. Yes, the regime has killed a few thousands (most likely 2000-4000), but it has been facing an armed insurgency since day one of the uprising, which in turn is responsible of killing 2000-3000 Syrian citizens, and army/police officers. 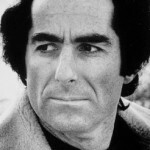 The true intellectual and peaceful revolution that began in March of last year has been very quickly highjacked by the Gulf oil monarchies of Saudi Arabia and Qatar (similar to what they’ve accomplished in Libya and to a certain extent in Tunisia and Egypt) because of fundamental fear of spread of democracy in the Arab World, which will propagate to their own backyard. In fact, the revolutions in Qatar, Bahrain and KSA have already started, but they are not worth any airtime by CNN, FOX, BBC and the likes. You would think than when the Saudi tanks invades Bahrain to crush their uprising only one day after the visit of the Secretary of Defense Gates to Bahrain that this probably is worth some coverage. Wishful thinking. When you hear the term “our MODERATE Arab allies,” which includes Qatar, Bahrain and Saudi Arabia, you should be concerned about the misguided foreign-policy alliances that we have had with some of the most brutal dictators in the world, just to continue to provide us with cheap oil, in return for creating conditions that are favorable for their survival in the middle east. 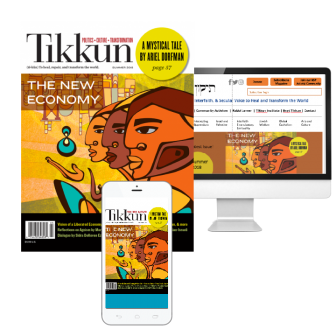 This is a well-known fact to the Tikkun community. What you have been hearing, that the regime is single-handedly shooting at peaceful demonstrators, shooting at people trying to rescue them, shelling hospitals, destroying mosques, schools, bridges, is both an exaggeration and an incomplete representation of the facts on the ground. Yes, the regime mismanaged the uprising, killed innocent people, and tortured a lot of people, but it, too, has been fighting a ruthless armed insurgency, courtesy of Libyan and Afghani fighters imported to Syria via Turkey and Lebanon by unmarked NATO warplanes. The Syrian prisons are full of these shoot-to-kill militants who do not speak a word of Arabic. You also may have heard about the 1/3 or 1/4 of the Syrian army that defected. That constitutes 150,000 to 200,000 soldiers and officers. The real numbers are more like 2000 max, many of them defected by intimidation, not by will. You also may have heard about the regime “shelling” residential areas and conducting massacres? Not true. They have been very careful not to do that, and the massacres you may have seen pictures of on TV are mostly conducted by the Islamist fundamentalist militants to create a nightmare PR situation for the regime. These are stories firsthand seen by relatives and friends of mine in the homeland, not media reports. I finally want to draw your attention to 2002-2003 era, when we were told that there is a possibility of a “mushroom cloud” scenario if we don’t preemptively attack Saddam’s Iraq and rid the world of this tyrant. Well, you know that the WMD have never been found in Iraq, but ten years later, is the cost of the killing of Saddam worth a completely destroyed undemocratic Iraq with hundreds of thousands of Iraqis dead, and over 5000 US soldiers dead? Sadly, the same is about to happen in Syria. What is about to happen in Syria in the coming weeks/months is an escalation of the mercenary war already waged against Syria last year, but there will be more “Nikes” on the ground (as opposed to “boots” on the ground), and the possibility of direct airstrikes against the country is becoming more likely. You may have heard “experts” bragging about the success of the NATO operation that got rid of another tyrant, Gaddafi in Lybia. What NATO accomplished is the killing of 30,000-70,000 innocent civilians in Libya by the desperate and indiscriminate bombardment of that country. Result? Tribal factions that were given arms to topple the regime in Libya are now busy conducting ethnic cleansing against one another, with the blessing of the West. Also, Al-Qaeda flags have been spotted on top of post-Gaddafi government buildings, but were quickly taken down out of fear of embarrassment. Also, the first announcement of the new transitional government in Libya is the implementation of Shareea law. The only winners in this “Arab Spring” are Qatar and KSA. Plan executed, and mission accomplished. Below is a link to an analysis that is by the way widely accepted outside the US, and is not difficult to find in mainstream European publications. But the poor state of the media in this country unfortunately precludes such analysis from being circulated or even mentioned, because it deviates from the strict message that they want us to hear. I am writing this letter in an attempt, however little, to offset another lie that is about to cause the destruction of yet another Middle Eastern country in the name of democracy. Arab Spring should be referred to as Arab Spring cleaning. And look back at the complaints last May about Libya being a false flag affair also. Look below the surface, please, when lives are at stake. I want to make you aware of a particularly disturbing incident which reflects negatively on our Jewish community at large. While attending Purim services at Chabad, Berkeley on Thursday evening, my partner—who is in the process of Jewish conversion—was racially profiled. As we were looking at a Hebrew prayer book, we were accosted by an individual wearing a t-shirt with “security” written on it. My partner was questioned both in English and Spanish in a condescending and confrontational manner as to his identity and nationality. He cooperated and answered the questions politely. We were seated in a room full of people; no one else was confronted or interrogated. We were also invited to this event. We are both graduate students at UC Berkeley, and receive emails pertaining to Jewish events in the Bay area, including Berkeley Chabad. The definition of security according to the Merriam-Webster dictionary is “the quality or state of being secure: as freedom from danger: and the freedom from fear and anxiety.” We are well aware that there is a need for security, but we were singled out and unfairly questioned not because of any suspicious behavior on our part, but because my partner is Mexican-American. No one was being kept safe from danger, but someone was being intimidated and made anxious. Rabbi Ferris was indeed most apologetic, extending a personal invitation for us to return and hear the Megillah. We appreciate this gesture and of course understand that most people at Chabad of Berkeley are not individually to blame. We do however believe that Chabad of Berkeley is ultimately responsible and must not allow racist individuals to be the ones to protect and serve the Jewish community. The community at large needs to be aware that this type of racial profiling cannot be condoned; it is against the precepts of Judaism. One of our fundamental Judaic beliefs is to welcome the stranger. The ignorance of this individual must not be allowed to speak on behalf of our community. This is not only an incident that causes us personal pain and humiliation, but it is a chilul Hashem, and casts shame on Jewish communities everywhere. The events in Aurora, Colorado were a sad commentary on American life, politics, and culture. The Batman thriller “Dark Night Rises” was expected to be the second highest grossing movie since Marvels’ “The Avengers.” These are movies filled with violence, presented, via the help of our sophisticated technology, as violence on steroids. Most of the movies our culture produces and consumes, are filled with violence. Our highest rated TV shows are also filled with violence and gore. Our popular police and forensic science shows, even our medical shows (E.R., Grey’s Anatomy) are bloody and shocking. We are a nation that bathes in digital violence. Should it surprise us that a young man would dye his hair red, adopt the moniker “The Joker,” the anti- hero of this movie, and act exactly as that evil anti- hero would? Could there be a more perfect metaphor for aspects of our American culture? Does Hollywood make these movies because this is what we want and will pay to see? Or do we go to these movies because Hollywood Studios make and promote them? Does it matter? We are also a nation that cannot find the strength of will to ban assault weapons. Though we witnessed repeated tragic attacks with assault guns and rifles, our politicians stand about, seemingly helpless. We had Columbine, Virginia Tech, Tucson Arizona, and now, Aurora, Colorado. It was sad to see the governor of Colorado, surrounded by other powerful politicians, lamenting the crime, yet refusing to answer questions about banning assault weapons. Will President Obama finally speak to this? We have MADD (Mothers Against Drunk Driving), we need MAAW (Mothers Against Assault Weapons). We welcome your responses to our articles. 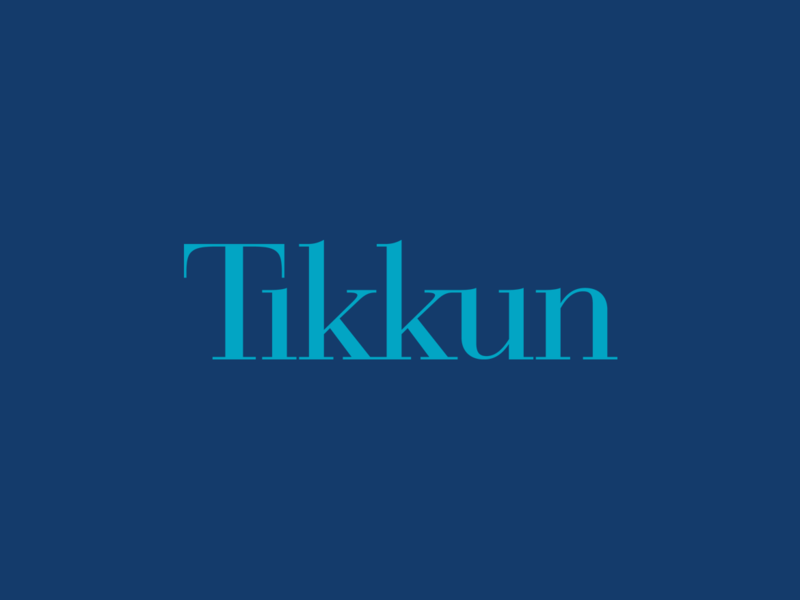 Send your letters to the editor to letters@tikkun.org.